HUGH DOUGLAS was born at Monkwood Mains farm, Minishant, where his parents were farmers. His family had connections with the area going back to the time of Robert Burns, and a number of his ancestors are buried in Alloway Auld Kirk, where the Poet’s father lies. One, Ivie Boyd, was born at Culroy in the same year as Burns. Hugh started school at the old school on the hill run by Mr Hugh MacEwan and Miss Agnes Clark, and afterwards attended senior school at Carrick Academy, Maybole, briefly before completing his education in Edinburgh and at Aberdeen University. Below are excerpts from an obituary which appeared in the Glasgow Herald. Contributed by John Kinloch. The sudden death of the author Hugh Douglas, while on holiday in Venice, ends the career of a prolific late starter. Douglas was born in Minishant, a village south of Ayr with strong Robert Burns connections, and throughout his life he was obsessed with Burns. He always liked to remind people that his ancestors were buried in Alloway Auld Kirk where the poet's father also lay. As Robert Louis Stevenson once wrote: "The mark of a Scot of all classes (is that) he . . . remembers and cherishes the memory of his forebears, good or bad, and these burn alive in him a sense of identity with the dead even to the twentieth generation." The remark certainly applied to Douglas. 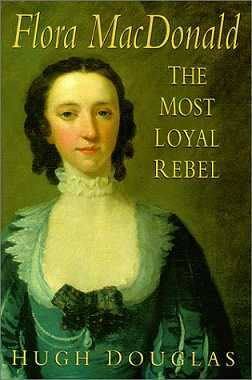 His Burns biography, stressing sexuality as the dominant feature of both his life and work, was well received and Douglas managed to avoid the odium academicum that beset James Mackay and other writers on this contentious subject. 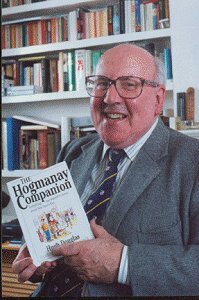 After schooling in Maybole, Ayrshire, briefly in Edinburgh, and then at Aberdeen University, Douglas began a career in journalism and public relations and came to full-time authorship late in life. Following books on Burns, the village of Minishant, a Burns supper companion, and a guide to hogmanay, he turned his attention to the subject that had so fascinated Burns: Jacobitism. 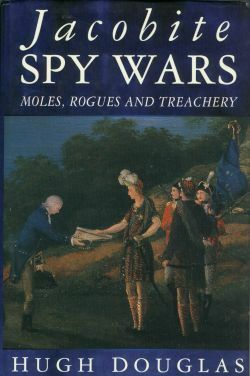 He then produced an interesting quartet: a biography of Flora MacDonald, an account of Bonnie Prince Charlie's tangled relationship with women, and of his famous flight in the heather (written with Michael J Stead), and an overview of the long espionage war between the Jacobites and the Protestant dynasties that replaced them in Britain. the homeland, and the much larger species (including James Boswell, Robert Louis Stevenson, and David Livingstone) who flourished only when they were removed from Scotland's soil. Douglas clearly belonged in the latter class, but there could be no doubting his commitment to the land of his birth. By all accounts he was a lover of life, and his personal Internet page shows him beaming and laughing; in this he was markedly different from the usual compilers of websites, who seem to make it a point of honour to present a dour or scowling face to the reader, as if only this will convince the world of their gravitas. "The world is so full of a number of things I'm sure we should all be as happy as kings".